I'd recently been so preoccupied with horse-racing. 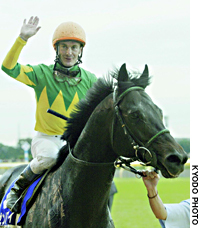 There was Tenno sho, Autumn Emperor's Cup, today. I bought a couple of bets against the odds, but evidently, I lost my money. On the other hand, My friend made a very big money by winning 3 straight races. Meanwhile, I couldn't help but wonder names of horses. How did they name it? That is enigma. Here are all names of horses raced today. I bet on My Soul Sound just because of his name, I didn't win. 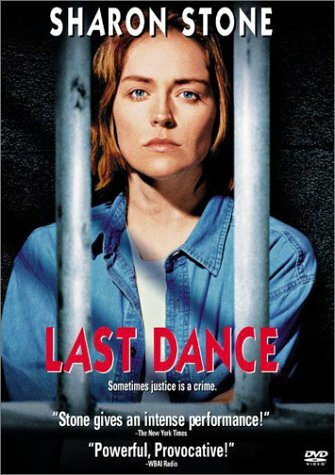 Amid a series of bad movies at theaters, I stumbled across this movie on television recently and mesmerized by Sharon Stone's performance. OK, I haven't seen dead man walking, so I'm not as mad as most people who think this is a rip-off of that movie. The movie isn't lame, it isn't very powerfull either, but it still makes a sad compelling movie. It is the story btw a death-row inmate and her ne'er-do-well clemency lawyer. It shows you how some people can really change, and the dilema of having less than 30 days to save someone you've gotten so involved with. Despite this year's biggest typhoon hitting Tokyo today, I went to AIG Japan Open, the biggest tennis tournament in Japan, to watch Russian young star. Winbledon champion Maria Sharapova overpowered Ms. Washington whose ranking of WTA is 76, 6-0,6-1 in the final to win the Japan Open for the second straight year. Sharapova, the top seed, needed only 55 minutes to beat her American opponent. However, what made me dissapointed was when I saw Sharapova chatting to her Mum over her mobile phone straight after the game walking back to the changing room despite a bunch of Japanese funs staring at her. This is a kind of youngster's way to express delight and gratitude??? Incidentaly, I found a R's cameraman adjacent to the all-weather court. All of sudden, I came up with a way of getting into the court by walking down to him. At first, although a guard boy stopped me coming into a highly premium seat boxes area, once I told him that I was the person from R, he willingly had me get in. With his unsecure security, I stayed close to Sharapova for a few minutes and shared joy.